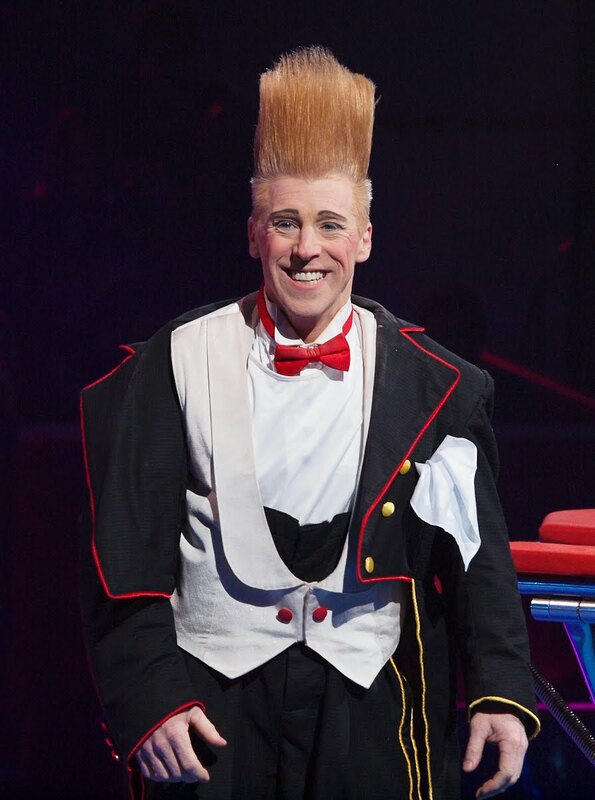 Bello Nock was brilliant. He was one of only two acts to be awarded the Golden Clown by the Jury of Monte Carlo's Festival of Circus. The last time he appeared at the Monte Carlo Circus in 1998, he won the Silver Clown. He did all the usual clown things with a trampoline - but better - and then he rode the 'Wheel of Death' but as if he couldn't do it, almost falling off, terrified etc and it was all very funny - and scary. 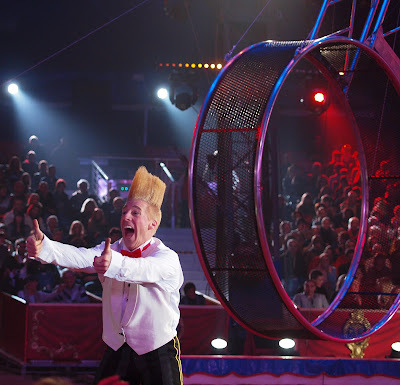 Time magazine named Bello Nock, the best American clown. They were right! 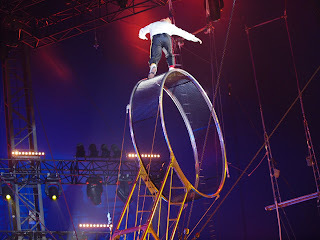 Another fantastic photo from the circus! You must have had great seats! Love the hair especially on Prince Albert! I like the 3.photo best! So many great action shots you have taken from this event! Thanks for sharing. They should have given you the prize for great photography! 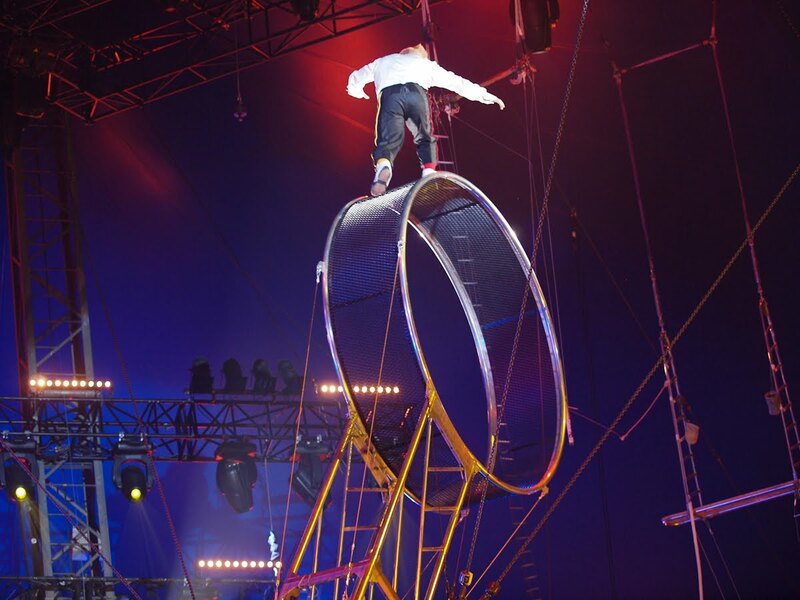 Thank you for sharing your circus adventure with us. He looks like quite a character! I guess he uses A LOT of mousse and hair spray to get a do like his!